This beautiful Islamic Wedding Invitation is studded with a unique captivating style and mind-blowing design to make you fall in love with it. 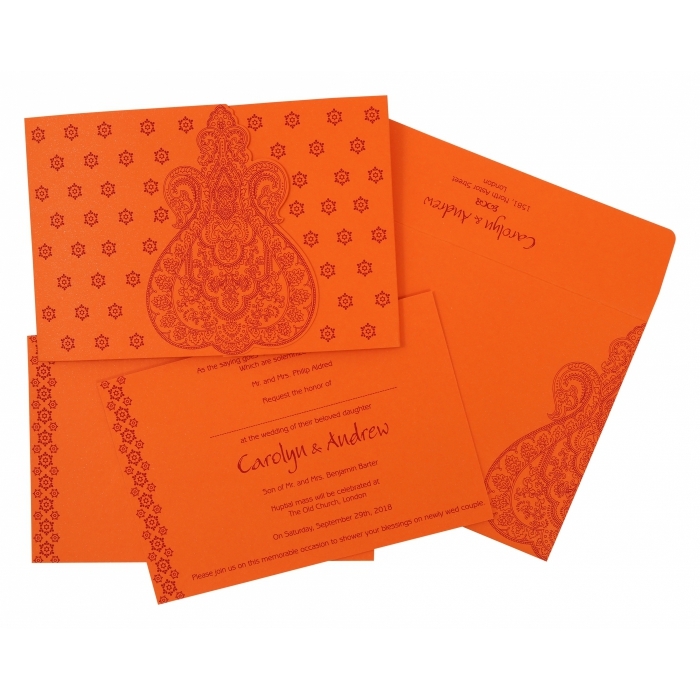 Made from high quality paper, the astonishing design of this card is spell-worthy. 8.10 " X 5.50 "